"Dazzling Diamonds," the adhesive rhinestone sheet available from The Buckle Boutique," is a perfect medium to cut not only strips or letters from the sparkling resin, but is also ideal to use in your electronic cutting machine or with deep-cut dies (e.g., from Cheery Lynn Designs or Sizzix) for beautiful shaped embellishments. For this sympathy card, I cut ice blue Dazzling Diamonds using my Cricut Explore. The best way to cut the sheets is to firmly press the resin side (not the adhesive side) down onto a clean, sticky Cricut mat. Because this is an inverse application of the material, DO flip your image or letters to cut them. I cut the dove shown here using the "poster board" setting on the Explore, turn up so that it double-cuts the image. My mat was nice and sticky so it did not require additional adhesion, but you may want to tape edges of the Dazzling Diamond to your mat, using painter's tape, for a firm hold. The image weeded nicely from the sheet, with a very clean cut. The paper I used here is "Skylark" from Close To My Heart, a newly-retired paper. I love that this paper has sentiments such as "Beautiful Memories" printed on it, making it such a sweet paper without being overly melancholy. 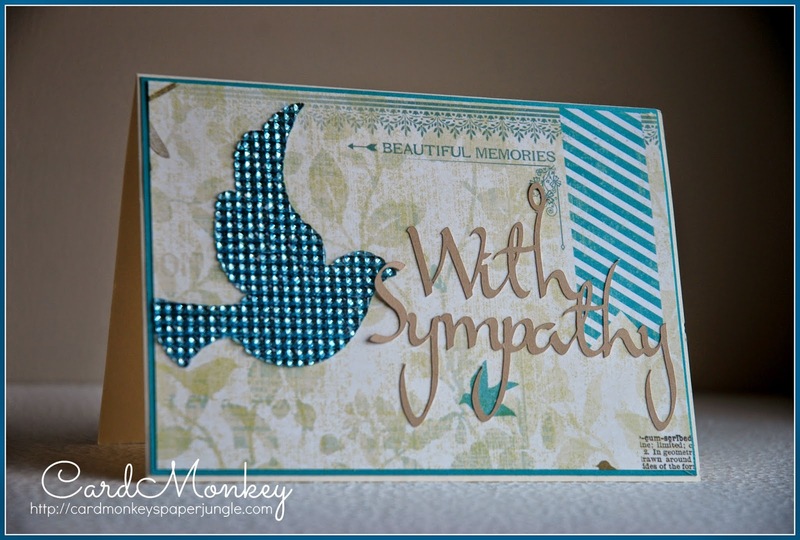 The "With Sympathy" sentiment is from the Cricut library on Design Space, cut from CTMH's Cashmere cardstock. 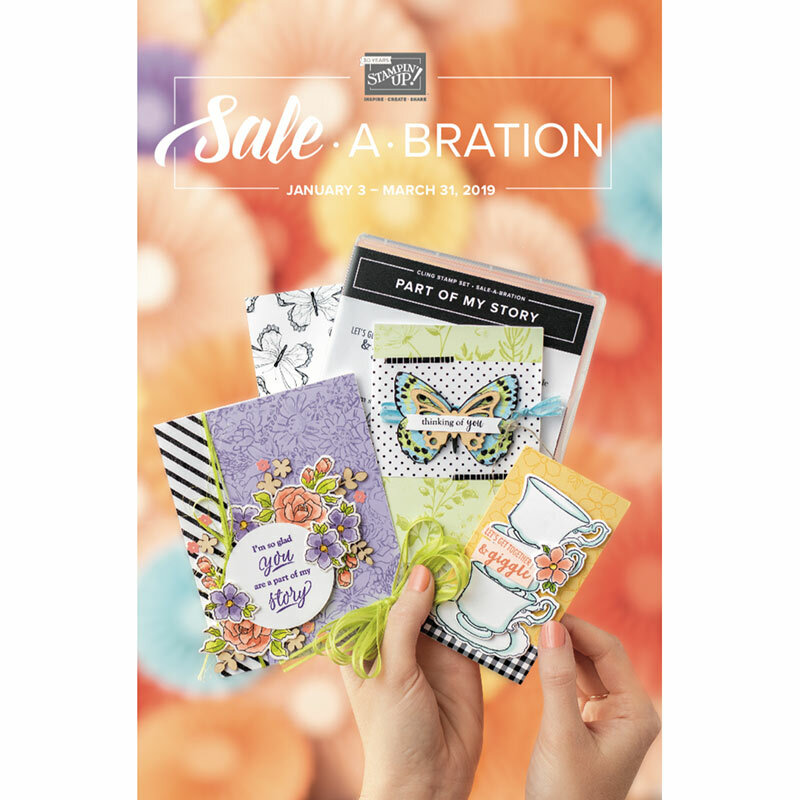 The Skylark paper is mounted on CTMH Lagoon cardstock. This card is for a Facebook friend, Chris Vicente, who this week lost her dear husband Adriano to lung cancer. Chris, please accept my love and prayers for you during this difficult time. How I WISH I traveled this light! What a Hoot: It's a Card for a Challenge! 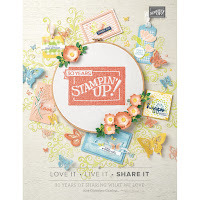 Welcome August -- and CTMH's New Catalog!